A Diesel Particulate Filter, also known as a DPF is a filter designed and integrated into the exhaust system of diesel vehicles to trap and safely remove Diesel Particulate Matter or Soot from the exhaust gasses. The aim of the DPF is to remove on average 80% of harmful toxins and lower the emissions of the diesel engine to meet with Euro standards. Regeneration is the process required to clean the DPF and is automatically carried out via the vehicle’s ECU when the soot level inside the DPF filter reaches up to 45% (some vehicles will regenerate much sooner). The DPF filter has a lifespan of around 70,000 miles (varying dependant on the vehicle) and once the filter can no longer be regenerated or is damaged, then a replacement filter is required. There is a DPF Removal service available, however due to the recent change in legislation it will now be an MOT failure if you have the DPF removed – so we are offering the DPF Removal as an “Off-Road” service only. The Diesel Particulate Filter (DPF) is a very expensive part to replace when it blocks up. You can in most cases regenerate the filter to get more life out of it but eventually it will need replacing. There are many copy filters available on the market for most makes & models of vehicle but are of poor quality and 9/10 times will only be applicable to vehicles that are over 4 years old. So if you have a new Mazda 6 2.2D for example, then you won’t be able to find a copy filter anywhere on the market – and a new filter direct from Mazda will cost you around £1600 +Vat. 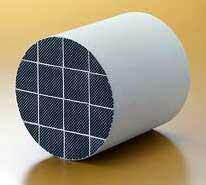 We are able to offer customers a more affordable solution by supplying custom-built replacement DPF filters. Our DPF filters are all type approved and will keep your vehicle completely road legal so there is no worries about failing an MOT or getting stopped by VOSA. To give you an example of how much we can save you..
A custom made DPF filter for the 2011 Mazda 6 2.2D will be just £695.00 +Vat (including Fitting Labour + Programming). The main dealer will want in excess of £2000 +Vat to do the complete job. 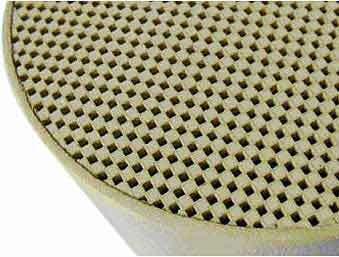 All of our custom built Replacement DPF Filters come with a 12 month warranty. If you have a blocked filter and are looking for an affordable replacement solution, give us a call today and find out how we can help you. Tags : cheap dpf filter replacements, cheap dpf filters, dpf, dpf blocked, dpf filter installation, DPF Problems, new dpf filter, replacement diesel particle filter, replacement diesel particulate filter, replacement dpf filter, replacement dpf filters. So that we can assist you, we will need more specific vehicle information and some details to asses the best option for you. Please get in touch with the Make/Model/Year and Mileage of the vehicle along with the type of driving style and typical journeys you cover from day-to-day. Hi I have just purchased a 2013 Vauxhall Astra CDTI SRI S/S 2ltr Estate Manual with 20k miles on the clock & the DPF warning light is on. Can you advise on my best course of action please? Also with an expected life of 70k miles why should it go so soon? My Mercededes E320cdi was still going strong on the original DPF at 120K miles? You need to check fault codes, it may be a sensor has become faulty. Also check your engine oil level as it may require changing if it’s too high due to post-cycle injection. This is where unburnt diesel mixes into the oil during regeneration and raises the oil level. If you are using low-quality diesel or cheaper engine oils then this will be a reason for premature failure of the DPF. 70k-120k is the life expectancy range of a DPF if maintained and if you are doing lots of motorway miles using high quality fuels i.e. Shell V-Power or BP Ultimate and regular oil changes using a low-ash fully synthetic oil then the DPF can last much longer. I hope this helps. If you have any further queries, please do not hesitate to come back to me. Sorry a bit more information for you. The Astra 2CDTi has 20K miles on the clock & has full Vauxhall service history. Should I cut my losses and have your modification(Quote please) or should it be down to Vauxhall? Im sorry to burden you with these questions but you are the only ones who seem to know what your talking about! My journeys are generally over 20 miles and I do like to drive with a bit of “gusto” meaning Im no slouch when driving! my average miles will be around 10k a year but I do want to enjoy the benefit of having a diesel & its economy & performance. I’d say check the fault codes, engine oil and such first.. it may not be the filter itself that’s blocked. We can still however remove the DPF and disable the system to stop you having any such problems. I will send you a quotation now via email for this service. I have a mazda 3 1.6 diesel REG. SL57HKX. It has 120000 miles on the clock and a problem regenerating. Decided it may be a good idea to replace the dpf. Please advise a price for a suit a blue replacement along with the fixing kit and any helpful tips. We’ve got replacement filters in stock for the Mazda 3 and we’ve sent you an email just now with full pricing and information including fitting the filter. 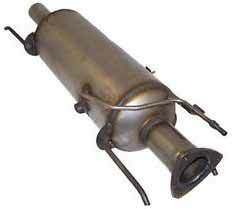 I have a mazda 6 2.0 TDI 2006 GK56*** And my dpf is beginning to cause problems, would you be able to provide me with a quote to my email for one of your custom build replacement DPF’s. Also I have been told they can be tricky to replace due to the sensor bolts fusing into the current dpf due to the heat, if true is there a good way around this? The sensors appear to be £400+ each. Or would you recommend a complete DPF removal in this case? We can definitely help and it’s true the sensors can be tricky to get out so always best to have Oxy Acetylene to hand. We have sent you an email with pricing and information for the current services we can offer you.